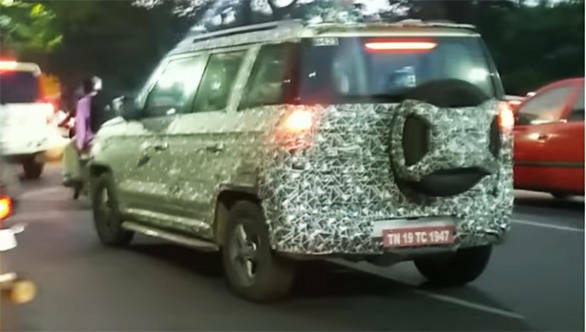 Mahindra is working on a TUV300 facelift that we believe will hit showrooms sometime next year. The updated Mahindra TUV300 should help the compact SUV get more traction in the India, especially when its rivals like the Maruti Suzuki Vitara Brezza and the Tata Nexon. While Mahindra had already confirmed at the Marazzo unveiling that it plans to launch two new SUVs in India by the end of this year, this also assures that the facelifted TUV300 would be launched in India sometime next year. 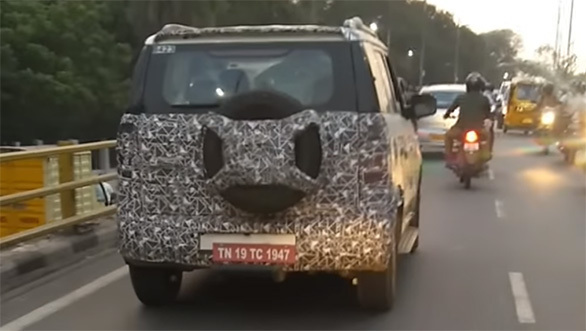 The facelifted Mahindra TUV300 that seems to be doing rounds somewhere in Chennai is said to get mild updates on the overall design. The includes tweak in the headlights with re-positioned LED DRLs, update in the bumpers design and also a change in the alloy wheels pattern. Additionally, the tail mounted spare tyre also gets a Mahindra Quanto-like wheel design. The Mahindra TUV300 facelift will also be offered with new paint options. Even the cabin is expected to get an update with a new touchscreen infotainment system with the modern connectivity options like CarPlay and Android Auto along automatic climate control. While the space inside the cabin will not be altered since it is the facelift, the Mahindra TUV300 facelift will get an update in the powertrain. The Mahindra TUV300 will be powered by a BS-VI compliant 1.5-litre mHawk80 turbo diesel engine which produces 84PS of power and a peak torque of 230Nm. It will be mated to a 5-speed AMT called AutoShift as well as 5-speed manual gearbox that send power to the rear wheels. Mahindra claims a fuel efficiency figure of 18.49kmpl from the TUV30 for the present offering.